How to Download Facebook Videos In Four Easy Steps! Have you ever come across a video on Facebook that you wanted to download to view later on? One way that you can save a copy of the video on Facebook is to use the save on Facebook feature. But that only let’s you bookmark the video to view later on. What if you lost your original video file and you want to upload it to another social network such as Instagram or YouTube? Instead of spending hours re-creating your video, you can download a copy from Facebook. This article is going to teach you how to download Facebook videos in just a few steps. 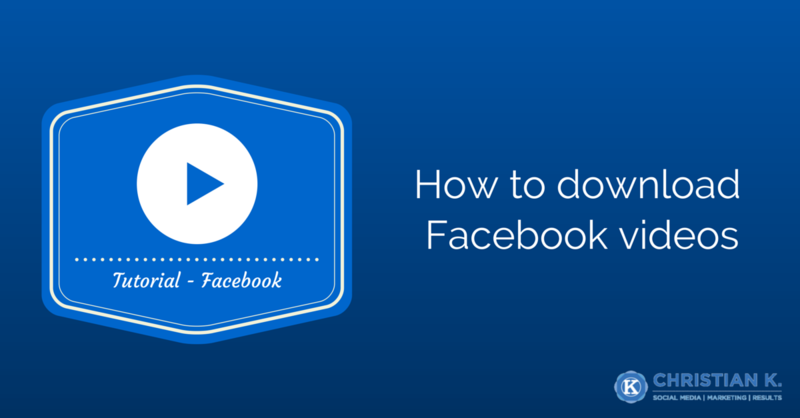 Continue reading How to Download Facebook Videos In Four Easy Steps!